Today in Gosport’s Past: on 31 March 1897, the Duke of York (later to be King George V) visited Haslar Royal Naval Hospital with his equerry-in-waiting, Derek Keppel. 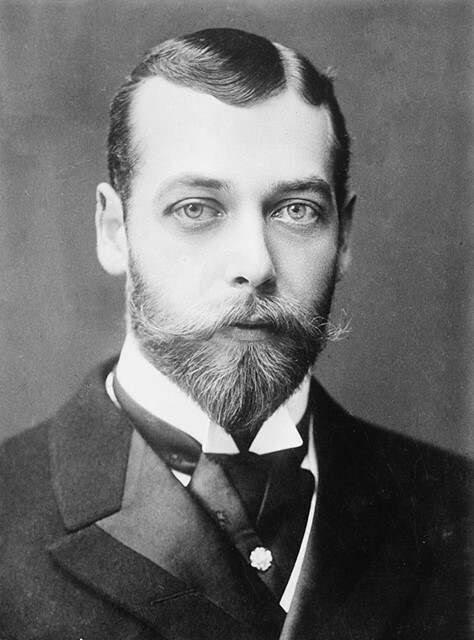 He became King George V on 6 May 1910, when his father, King Edward VII died; the Coronation was on 22 June 1911. 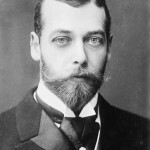 The photo of the Duke of York dates from 1893, the year after he recieved the title, on 24 May 1892. 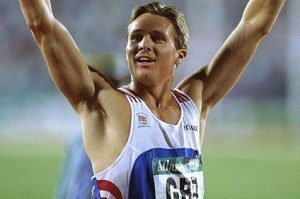 ALSO Today in Gosport’s Past:- on 31 March 1966, Roger Black was born in Gosport. He became a successful athlete, winning a number of gold & silver medals at World, European and Olympic events, his medals were all for 400 metre sprints and relays. Roger attended Alverstoke Junior School, his father was a local doctor, and was our family GP when we first moved toGosport in1960. 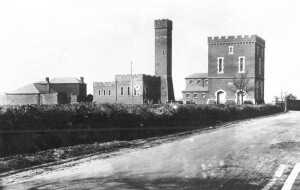 And ALSO Today in Gosport’s Past:- on 31 March 1966, work started on the building of Fort Brockhurst. 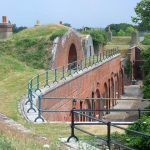 Forts Grange, Rowner and Brockhurst were built at the same time, and were built in alignment with Fort Gomer in the south and Fort Elson in the north, forming the Gosport Advance Line. 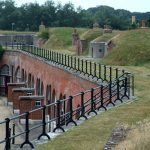 The final cost of the construction of Fort Brockhurst amounted to £108,909, and the work was completed on 20 December 1862. 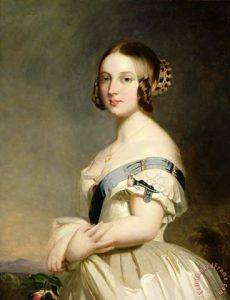 Problems were encountered with the work at Fort Rowner and fort Grange, which took a bit longer to rectify; in fact at Fort Rowner, the contractor was sacked, and the work at Fort Rowner was completed by the Royal Engineers. 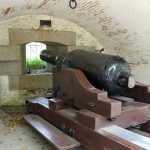 When these forts were first armed, each fort’s complement was 43 x 8-inch smooth bore guns, 2 x 40-pounder rifled breech loaded guns, and 4 x 13-inch mortars. 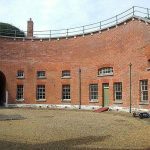 The number of guns was steadily reduced throughout the years; by 1886, Fort Brockhurst’s armaments consisted of 13 x 8-inch smooth bore guns, 16 x 7-inch rifled breech loaded guns, and 4 x 64-pounder rifled muzzle loaded guns. 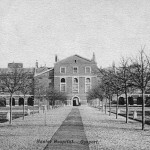 Brockhurst’s Regimental Institute, in the centre of the parade ground, was built in 1900. 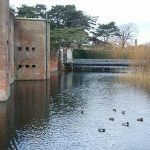 Of the three forts, only Fort Grange had a dry ditch, that is to say, a moat without water; At Fort Brockhurst, the keep could be isolated as a ‘keep of last reserve’ with the use of small drawbridges – one at the arched entrance to the keep, on the outer moat, the other at the road access bridge gate; and the inner moat had a rolling bridge which could be retracted into the keep, which had a number of large guns with which to fire upon the main body of the fort should it be overrun by an enemy. There are far too many facts & figures concerning the fort for me to deal with here, so I’ll stick with a few relevant facts and dates. 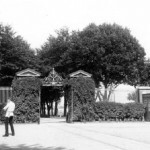 After Grange airfield was constructed, Fort Grange, and later Fort Rowner, became part of the Royal Flying Corps, then became RAF Gosport on 1 April 1918, and on 1 August 1945, the Royal Navy took over, the name being changed accordingly to HMS Siskin until the airfield’s official closure on 1 June 1956, after which it became the training centre HMS Sultan, and remains so today. 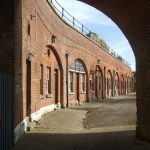 Fort Brockhurst however, was always an Army fort; since the beginning, it had been an Army recruitment centre, and at the end of the First World War, it became a demobilization centre for returning troops. 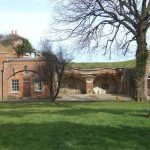 In the 1930s the 4th Medium Regiment were based at the fort, and the Royal Warwickshire Regimant were there during World War Two. 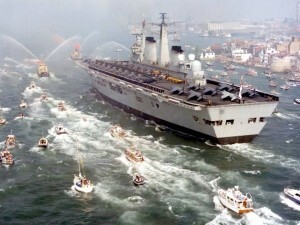 The last were 245 Armament Battery, who dismantled the last remaining fixed and anti-aircraft guns in Britain – on the south coast, following the end of the war. 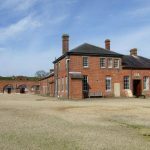 The last troops left Fort Brockhurst in 1957, and the fort was sold in 1962; it became the property of the Ministry of Works (I think), opened to the public for the first time in 1978, and came under control of English Heritage in 1984. 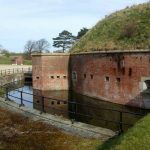 The most action Fort Brockhurst ever saw was when a German aircraft dropped a bomb which hit the rear inside of one of the Haxo gun casemates, killing a couple of officers. Although recently ‘tidied up’, the extensive damage can still be seen near the north demi-caponier (near the right-hand corner as you enter the fort). 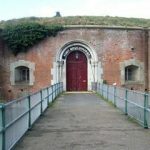 The fort certainly has a future with English Heritage, but with regards to public visits, EH don’t want anyone to see the extent to which their neglect of the site over a number of years has resulted in; this attitude does NOT extend to the staff at the fort, who are more than keen to open to the public. 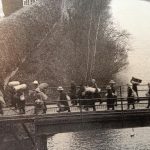 At least Fort Brockhurst will be open on three days in September for Heritage Open Days, and our own New Improved Photo Exhibition will be on view in the keep.